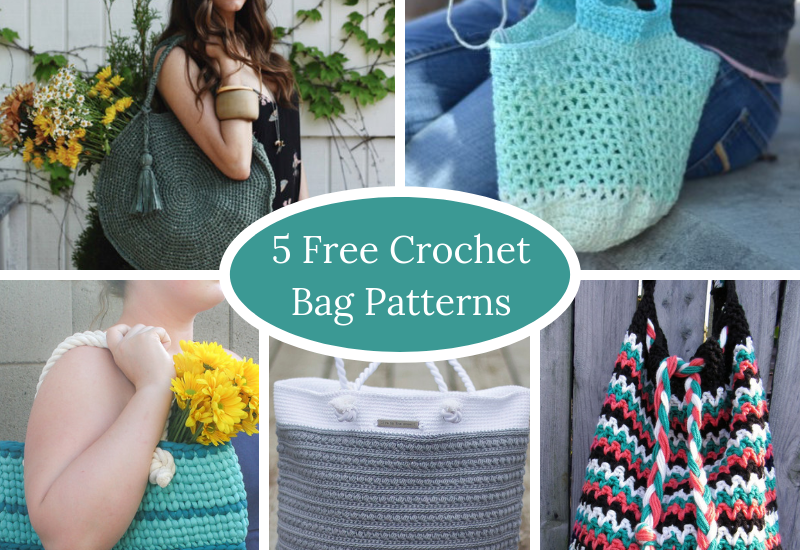 Here are 5 free crochet bag patterns of all sorts for everyone else who loves bags, or who has a justifiable need for an amazing handmade tote. Because who doesn’t? Simple and trendy, this may be your new staple! 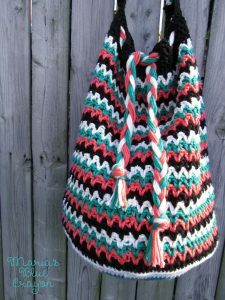 This mochila-style bag is a great alternative to a backpack or a purse. 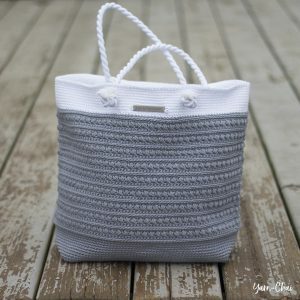 Malia is a modern tote to take anywhere! 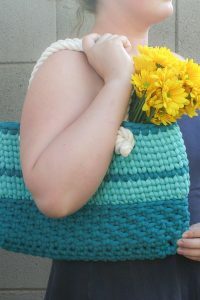 A quick project with chunky yarn, this sturdy bag is perfect for carrying summer essentials! 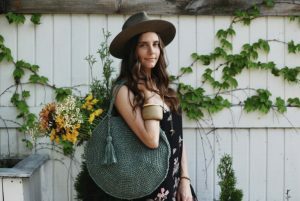 Rescued Paw Designs has a simple Market Tote Bag that’s meshy and stretchy to fit whatever you get at the farmers’ market, or really anywhere. 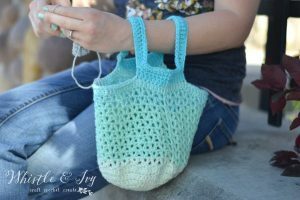 Happy bag collecting, and happy crocheting!